The Zuchon mixed dog breed is known as a Shichon in many circles, and it’s a combination between two breeds, the Shih Tzu and the Bichon Frise. 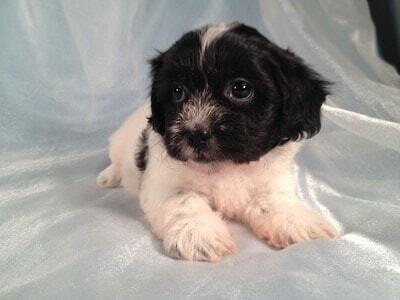 Other names used for it include Tzu Frise, Shichon Teddy Bear or Teddy Bear. All good names for this small cuddly mixed dog breed. 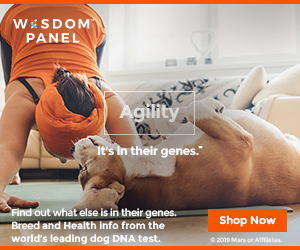 As you may know, when two dog breeds are combined, the resulting puppies will get a mix of genetics from both parents. As a result, they can look like one breed, and have the temperament and intelligence or the other. Just as easily, they can have a little bit of both in all areas, creating a truly unique dog. Hybrid Zuchon dogs are quite popular and they are great pets to have around the house. If you want a cute dog, a Shichon can be great, and it’s just as good a dog as one that is a purebred. 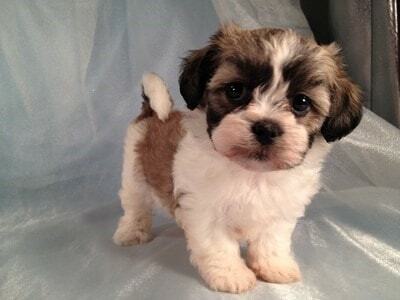 The mixed breed that comes out of the combination of a Shih Tzu and a Bichon Frise will be friendly and loving, affectionate and it will behave well. A Zuchon is typically between 9 and 12 inches tall, lives up to 18 years (though typically less than that) and weighs anywhere between 5 and 15 pounds (2.2 kg to 6.8 kg). Zuchon dogs are great additions to families that have kids, but they are just as good as pets of seniors or single people. They can live in a house that doesn’t have a yard, or in an apartment. 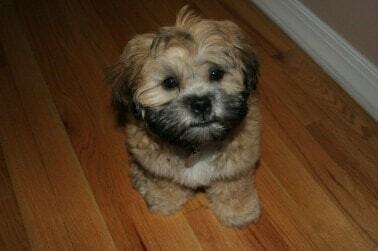 The combination between the Bichon and the Shih Tzu brings out some great qualities in this hybrid. One of the main advantages of this mix is the fact that it doesn’t shed, so even people with allergies can have them around. In addition, these companions will not bark much and they enjoy being around other pets and kids. They make great pets and they are happy and love to play all the time. These dogs are easily trained, mostly because they love to please and they are clever as well. In order to get great results, the trainer should use consistency and techniques that are positive. Praising works much better with this dog, so avoid being too harsh with him. The coat of this breed is fluffy, one of the many reasons why people love them. They are also known as teddy bears, and for good reason. They don’t shed, so grooming is done in order to keep the long fur untangled, but at least you don’t have to clean the house of hair all the time. The colors that you will find these dog coats in range from cream/tan, silver/gray and black/white, to the rarer all black, red/orange and brown. While the dog is still a puppy, it is important that you make sure he is healthy, and you need to look out for both the potential health problems of the Shih Tzu and the Bichon Frise. Since the dog gets its genetics from both breeds, you never know exactly from which side of the gene pool he will borrow most. Make sure you are aware of the potential health problems of this hybrid breed and you know how to deal with them. The Zuchon puppy is quite cute, as you can see for yourself in the above pictures. Kids will love them and they will enjoy playing with them and having them around. If you want a small dog in your family these hybrids are great choices. Fore more pictures of great looking puppies, take a look at our puppy category that is dedicated to this very topic.